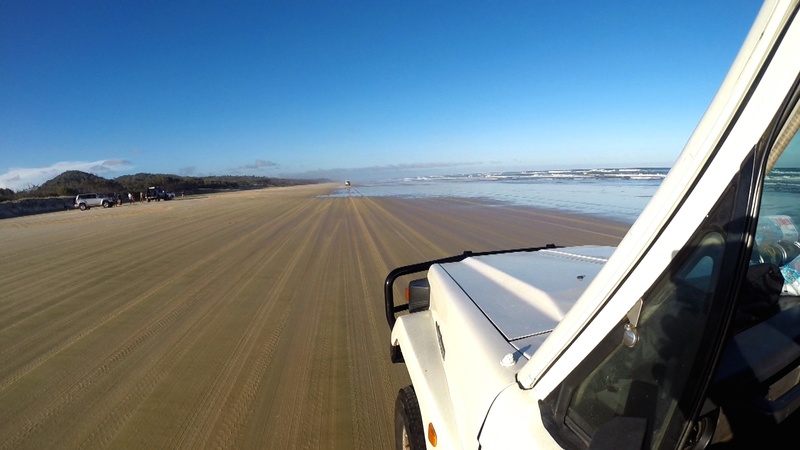 Over 3 days we drove through inland tracks and along 75 mile beach, stopping at points of interest along the way. 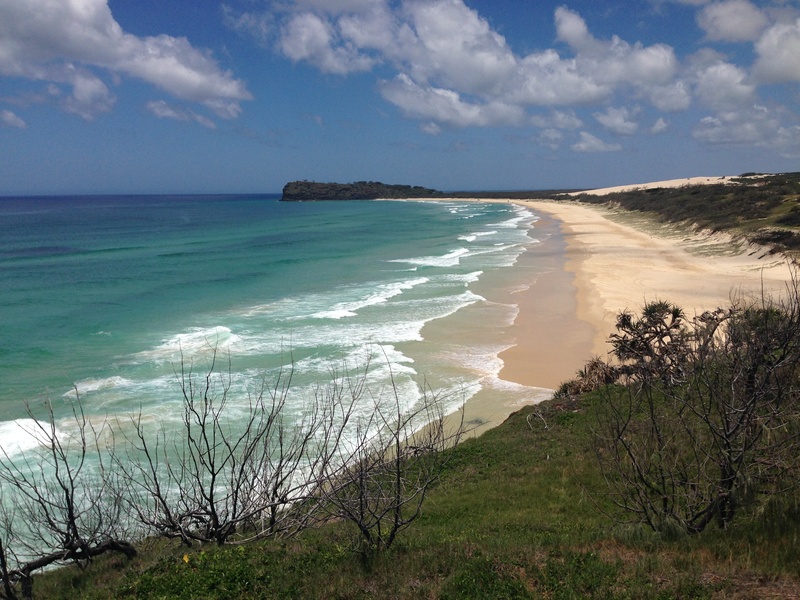 And as it turns out, Fraser Island was called paradise for a reason. It is absolutely beautiful. Lush rainforests, a sweeping coast line, crystal clear creeks, lakes that I couldn’t imagine existed. I loved this place. 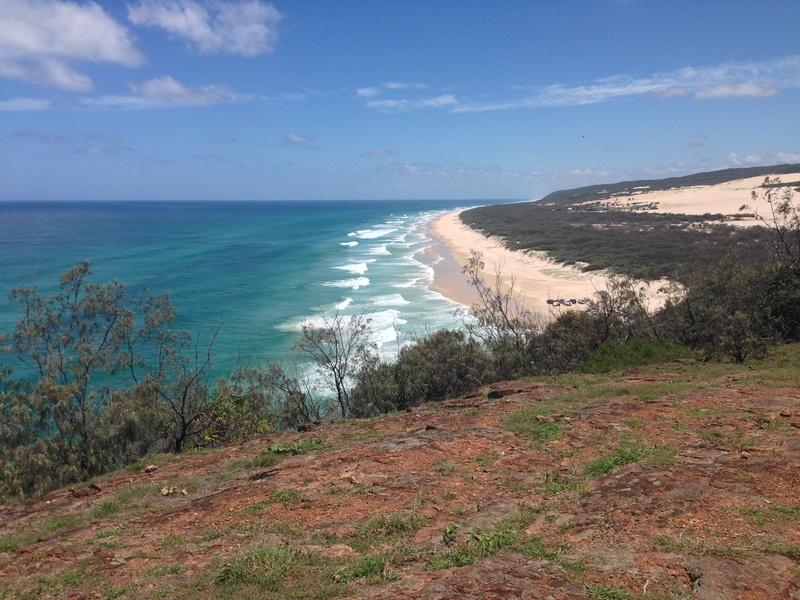 A 40 minute walk through bush and over sand dunes took me to the stunning sight of Lake Wabby. Down at the bottom of a steep dune lay the lake, dark green in colour, and backed by trees. The lake wasn’t that big but had a depth of 12 metres. Looking down I could see how it suddenly dropped off a few metres from the edge. I walked while Chris ran/bounced down the dune and straight into the cool, refreshing water. 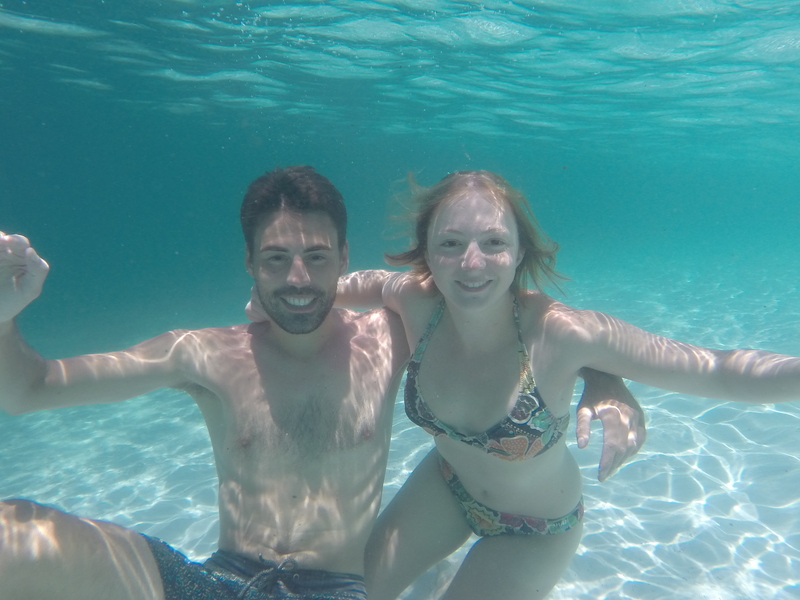 We swam into the middle and tried testing the depth, not getting too far. Then we came in and chilled out around the edge. There were little fish everywhere, the kind that you can pay for to eat all the dead skin off your feet. This creek didn’t look like much at first from the beach and I wasn’t sure what all the fuss was about. But I went to check things out anyway. 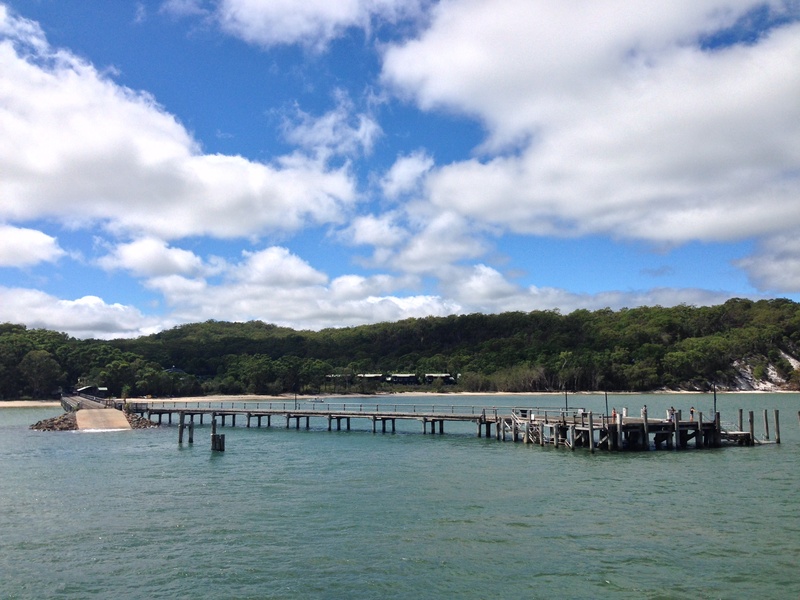 I walked along a wooden boardwalk that brought me quite far up the creek. At the end I clambered down some steps into the water, where I just stood for a minute, trying to gain the courage to fall back and submerge myself! The creek water is 18 degrees all year round, even in peak summer. But I quickly got used to it. 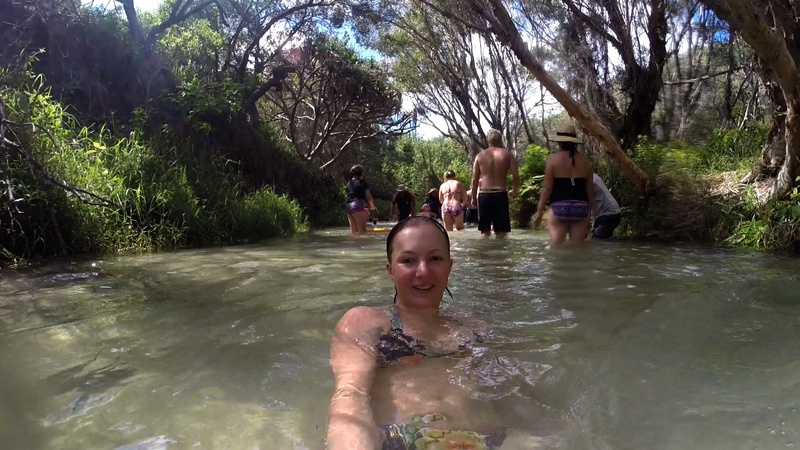 Switching between my front and back, I allowed the creek’s current to bring me all the way back to the beach. If only I’d had something that floated to lie on, it would have been perfect! It was time to get a bit salty. 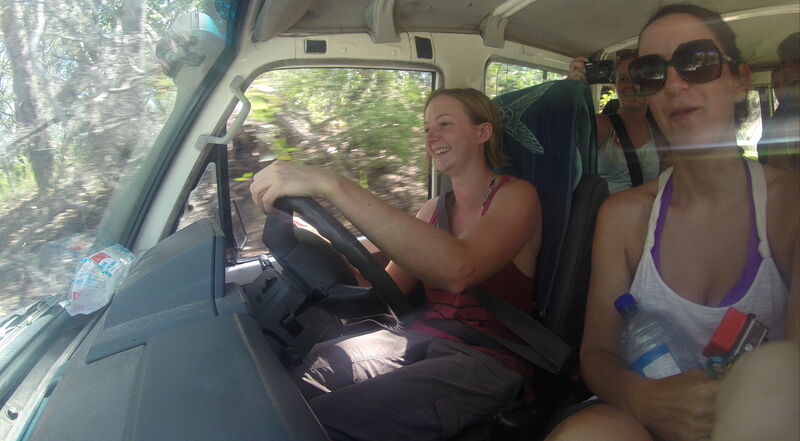 We drove north up the beach, swerving in the soft sand, until we arrived at the Champagne Pools. 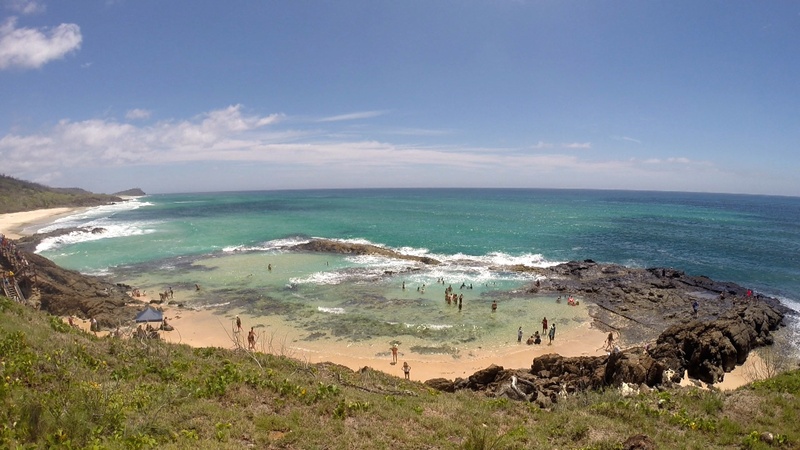 This is a large natural rock pool that gets battered by the sea, especially as the tide comes in. The waves smashed off the rocks and came over the top into the pool, creating a Jacuzzi/wave pool effect. It was pretty exhilarating but you had to be careful getting in and out. The rocks were pretty sharp! We parked the cars and started climbing up the side of a rocky hill. I found it hard enough in the 30+ degree heat! But it was worth the climb as the views from the top were spectacular. Looking both left and right I could see the whole way up and down the coast. And in front of me was the narrow point, Indian Head, which was quite striking itself, just begging to be walked on. Of course you’re not meant to… but most people did. In 1935 the Maheno was on its way to Japan when it was hit by an unseasonal cyclone off the coast of Fraser and washed up on the beach. Attempts to refloat the Maheno were unsuccessful and so it was left abandoned on the beach for us camera enthusiast tourists to enjoy. 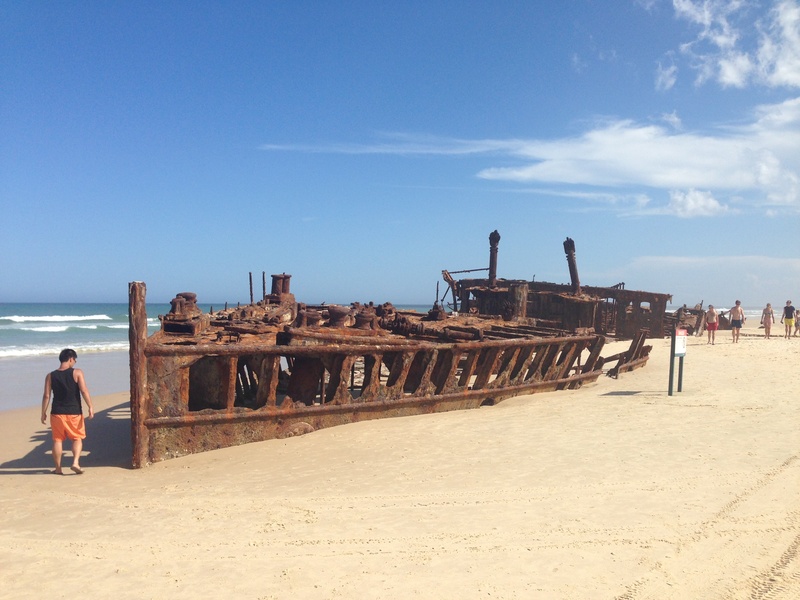 It’s now one of the most photographed shipwrecks in the world, disintegrating bit by bit each day. Oh my god. This lake was amazing, easily the most beautiful lake I have ever seen or been lucky enough to swim in. 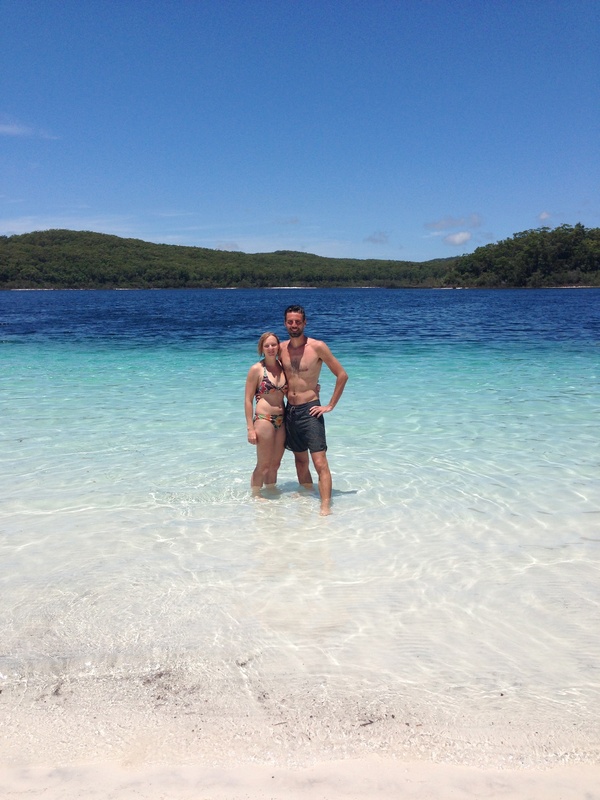 The water was a brilliant bluey greeny colour and was so clear I just stared at it in disbelief. 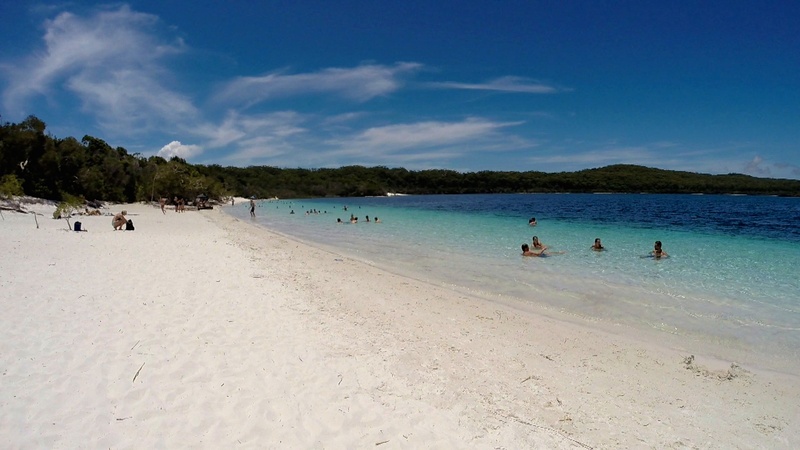 Surrounding the lake was a dazzling, soft, pure white silica sand. One of the interesting things about Mackenzie is that it’s a ‘perched ‘lake. This means it contains only rainwater, no ground water, and there’s no water flowing in or out. The sand also acts as a filter which is why the water’s so clear and pure, supporting very little life. 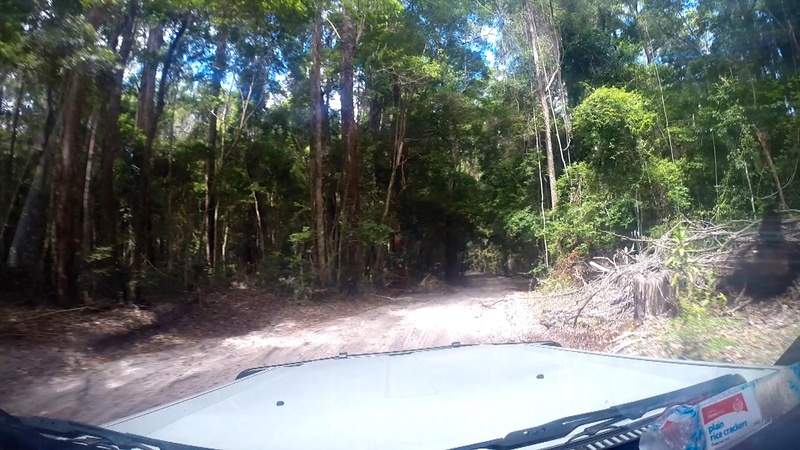 There’s no doubt I had an awesome time on Fraser Island. 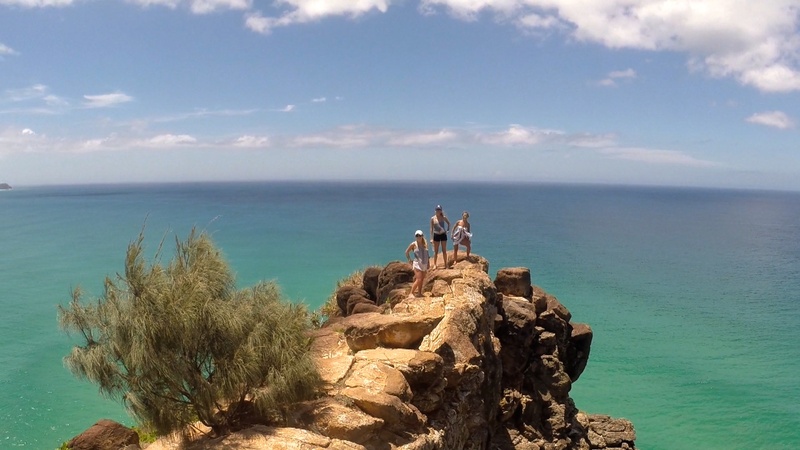 It’s one of the most beautiful places I’ve experienced in Australia and was definitely worth spending a bit of cash to go and see. But sometimes I wondered what Palace Adventures were doing with all our money. When we arrived at the campsite on our first day everyone’s face in the group dropped. Is this it? This is what we’re paying for? There were no toilets, no shower, cheap thin ground mats, no pillows, no sleeping bags (unless you wanted to hire one). The kitchen seriously lacked cutlery, plates, and bowls, and there weren’t even any proper benches to sit on around the table, just planks of wood balanced on crates. Now I don’t mind roughing it at all. I’ve been living out of a campervan since August, I don’t need luxury! But I do expect a bit more when I’m handing over $525… And when it got to the third day and I was applying my 50th layer of suncream to my unwashed, sandy body, I was not amused. To top it all off was the fact that Palace don’t supply any food. 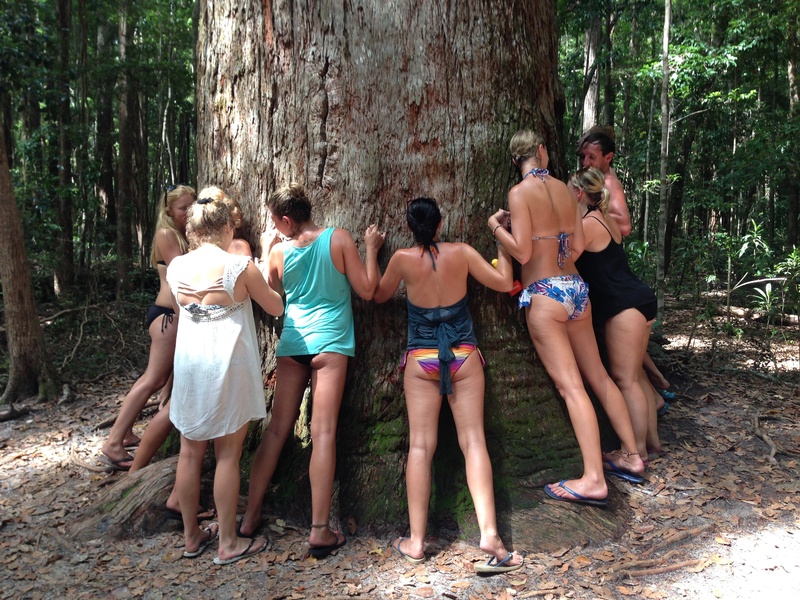 Before we’d left for Fraser Island we were told to get into groups and go shopping. Palace gave us nothing and even drinking water was limited. I know there are plenty of other tours out there that provide food for campers to prepare themselves, or even better, just provide all the meals for you. And to be honest, for the amount of money these tours cost, it should be expected. But it wasn’t all bad. We made the most of the campsite each night with music, lots of goon, drinking games and dodgy dancing. And as it turned out, peeing on the beach with a dingo stick in one hand and your pee buddy holding the other (you had to pee in pairs to stay safe from the dingos) was a lot of fun. And most importantly, I got to see a dingo sneaking through our camp.